The banlieue, the mostly poor and working-class suburbs located on the outskirts of major cities in France, gained international media attention in late 2005 when riots broke out in some 250 such towns across the country. Pitting first- and second-generation immigrant teenagers against the police, the riots were an expression of the multiplicity of troubles that have plagued these districts for decades. This study provides an ethnographic account of life in a Parisian banlieue and examines how the residents of this multiethnic city come together to build, define, and put into practice their collective life. The book focuses on the French ideal of integration and its consequences within the multicultural context of contemporary France. 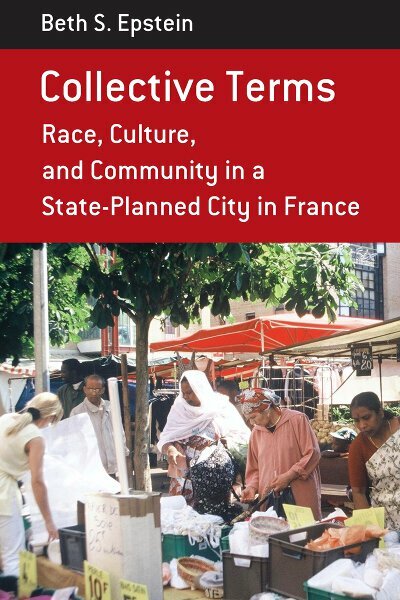 Based on research conducted in a state-planned ville nouvelle, or New Town, the book also provides a view on how the French state has used urban planning to shore up national priorities for social integration. Collective Terms proposes an alternative reading of French multiculturalism, suggesting fresh ways for thinking through the complex mix of race, class, nation, and culture that increasingly defines the modern urban experience. Beth S. Epstein has lived and worked in France as a filmmaker and anthropologist since the early 1990s. She is Assistant Director for Academic Affairs at NYU in France.